All storytime programs at the Main Branch are by registration only. · Hamden residents only are taken the first day of registration. · All programs are five-week sessions that meet once a week for 45 minutes to an hour during the school year. · The child must be the age indicated by the registration date. · Parent/caregiver is required to stay with the child during story time, except for the four & five year olds parents may visit another part of the library if they wish. Lapsit program with stories, finger games songs & musical activities; approx. 45 minutes. Shared stories, finger games and musical activities; about 45 minutes. Children sit in a group to hear stories & do a simple craft; about an hour. Please call the Children’s Department at 203-230-3770 for additional information. Saturdays at 10:30am. Drop in. Call 203-287-2675 for more information. Thursdays at 10:30. Drop in. Call 203-287-2677 for more info. 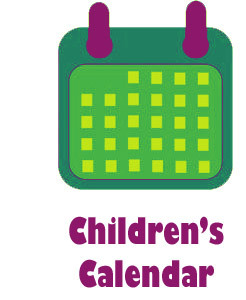 View our Calendar for a schedule of all our programs for children and adults.